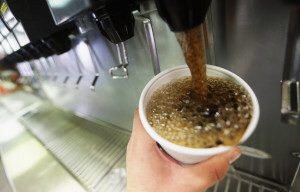 If I'm at any sort of "fast food" restaruant - or a place I stand in line or walk through a line to get my food, one thing has started to drive me crazy and that is the fountain drink stealer. As soon as the "water cup" was requested, I knew where it was going - stolen fountain drink. Forfeiting your own integrity for a little savings on some carbonated water, high-fructose corn syrup and some flavor. At McDonald's they provided a small cup that had no unique distinguishing factors from their small fountain drink cup. Yet, even at places like Panera (with their rinky-dink-bathroom-spit-cup-sized water cups) I see people who have filled them up soda. I'm not one to generalize, but I will admit, these are usually teenage boys. Boys...pay the dollar to get the Coke if you want it. Here's some quick thoughts on tonight's Academy Awards ceremony. Seth MacFarlane - I don't know, sometimes I thought he did a good job and other times...well, he made the night awkward to me. Such as when he introduced Selma Hayek talking about how Penelope Cruz, Javier Bardem and Selma Hayek were beautiful but hard to understand. I felt like Hayek was self conscious during her whole presentation. Stars Getting a Star Bump -It always seems like certain people get a little star power bump, and it seemed to me that one of those biggest bumps was Charlize Theron who got good red carpet coverage, a dance in an opening scene, and presented an award. It seemed like she was reminding us of who she was. Other stars in this category seemed like Sally Field who seems to have really helped reintroduce herself well through Lincoln. Surprises - Christoph Waltz (although I imagine voting in supporting acting was very interesting, would love to know how those votes stacked up), and I thought we would see Steven Spielberg not Lee for director. Ben Affleck: Golden Globe Winning Director, Not Even Oscar Nominated...Is He The First? I was annoyed a little bit of Ben Affleck talking about his rough life, yes, you may have not been nominated, but you still took home an Oscar. Congrats and be happy. 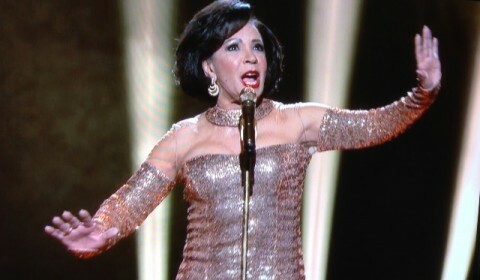 Shirley Bassey singing "Gold Finger" (from Goldfinger, 1964), which incipiently was not nominated for an Oscar for the 1965 ceremony. List of previous James Bond Oscar History can be found here. I've been writing recently, and have been really pleased with my in progress work. 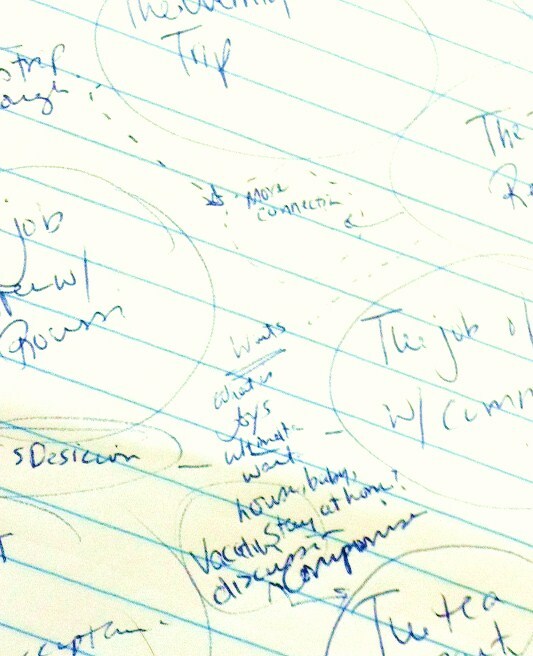 One of the things that I've enjoyed about the writing process this time around is that when I put together my story I had a definite plan and story mapped out from the very start. Part of that was certain "scenes" or "moments" that I wanted to happen in the book. And as I got going and the characters came to life, certain scenes just didn't seem right, or perhaps more than not seeming right they existed in an alternative universe for these characters. I could see that scene happening, I think to myself, but based on the order of events it just doesn't fit anymore. 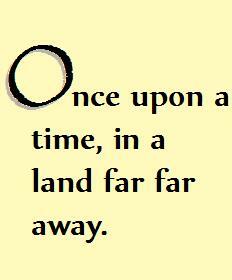 Yesterday, at about 40,000 words typed, I took the time to remap out the rest of the story. There were certain event timeline conflicts that needed to be re-reviewed, and while the shell of the story stayed the same, I found and identified certain gaps or even moments I needed to reconsider. This sensation of re-brainstorming was something I don't think I've typically read about or heard people talk about in the writing process, but I found it very fulfilling. Instead of being dedicated to push through with the original shell of my story, it gave it a chance to breathe. So often, whether it's in books or movies that last half of the book has a less exciting feel. The goal of the first half of the book seems to be often characters, setting up the problem, and setting up the conclusion. You say to yourself I want the protagonist to kill the man at the end with the gun, so let's have her at a shooting range at the beginning of the story to establish her gun skills (note: there is no gun shooting in my story). 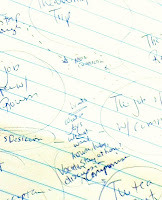 I started by identifying the remaining major scenes in my story and made sure they all connected in a way that could be clear, reasonable, and logical. I identified some questions I had about my characters, decisions I've made about them that I feel I have not yet appropriately revealed to the reader. I've revisited the reasonableness of their motivates and intentions in these major scenes based on what I had been able to present so far. This was very helpful. For me the process of re-brainstorming mid-stream was refreshing - it reminded me it wasn't just a race to end conclusion but an opportunity to still create some compelling moments, to continue to build the characters and create an opportunity for the story to remain cohesive and organized. Outside of action films were car crashes might be a small part of the action, it seems to me that when films or books have car accidents in them it's an uninspiring and convenient choice. 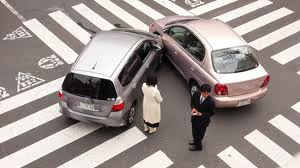 For the sake of convenience I say "Car crash" but this could be another type of accident such as the recent bus accident in the film Margaret or the hitting of a young boy in the movie Rabbit Hole, or even the incidents of car accidents and carjackings in Crash. A car crash has a unique film intrigue because it puts two people (or group of people) together who normally wouldn't come in contact with one another, and very quickly. Even recently I was in a minor fender bender and instantly your life intersects with a stranger. Who is this person? What do they do? How does this fifteen second event impact our next hour, next day, and beyond. In addition to putting two people together who might not normally encounter one another, it quickly accelerates or creates the plot. Particularly if the the accident causes a death, this becomes a plot power keg. It seems like a good story start in that regards, but I find that to be kind of a boring path for a story to take on. Generally the accident on the front end of the film get's the plot moving forward, even if working out the ramifications of the accident the entire film. I think of the movie Signs, a film that is colored by a death and a car accident. A character's death not only creates an emotional moment but the characters final words (in the case of signs: "Tell Merill to swing away," creates an important plot point. Final words have power, but as a magical/mystical plot point, it can sometimes be a little bit of a convenient fix (or over sentimentalized moments) to chunky plot points. It's almost as bad as a movie ending and it all being a dream. The sudden car accident at the end that kills a main character (spoiler: One Day). It seems lazy, dramatic, and a bad ending. Looking at 2013 films with car accidents I find myself finding these films in categories of one's I'm not interested. Here some of the films that fit this bill, any intrigue you? I've included their IMDB.com summary. Assumed Memories (dir. Bernard Salzmann): Award winning news reporter Daria Valdez Morrow was investigating a series of murders caused by a local serial killer when she gets into a car accident and suffers from Retrograde Amnesia. When she comes to, she begins to suspect that her husband, Sam Morrow is the serial killer she had been reporting about and embarks on a journey to discover the truth. Intersections (dir. David Marconi): A couple on their honeymoon in Morocco survive a deadly car accident in the middle of the desert. Milwood (dir. Evan Goldman, Jimmy Scanlon): After an unexpected fatal car accident, Nathan Perry is assigned to the Milwood facility for young adults. During his time at Milwood, Nathan becomes a victim of unforeseen terror and unusual behavior. Nerve (dir. Sebastien Guy): Nerve follows a man, Jakob Evans, who has just suffered an emotional breakdown from the recent death of his wife in a car accident. But Jakob's loss and pain runs deep as he also claims to have found her in bed with another man just before her death. No Good Deeds (dir. Sam Miller): A former district attorney and her kids are kidnapped by a man who has escaped from prison and poses as the victim of a car accident. The Remembrance (dir. Brandon Taylor): After a life changing car accident, Nate is haunted by what he's done. Shhh (dir. Ruben Rodriguez): AAngela Tucker was involved in a horrific car accident that killed her mother and younger sister. The accident left her mute, a side effect from post-traumatic stress. Feel free to list in the comments a car accident in film you liked or didn't like in a film. If you're a regular follower of this blog (maybe you read it in a feed, have this blog saved as a favorite and check it regularly, receive update e-mails, or link over from other sites) you will have noticed a slight decrease in my posting recently. As this blog is primarily a movie blog some people are talking about the Oscar award contenders, the festivals, guild awards, and other related topics. The people who do that do I better job than I do, so it's not uncommon for me to lie low this time of year. Instead, when I talk about film, I often talk about future releases and look at the field of possible award contenders well in advance of film releases. Obviously, I discuss all sorts of other things as well, but my mind is slightly preoccupied these days. My preoccupation has come from buckling down and writing a novel, again...I've drafted a few and my experience has been that I'm slightly dissatisfied with my work product either mid-stream or upon completion. Yet, I feel different about what I'm writing now. I have a time and opportunity to focus on my book and with the availability of self-publishing options, I'm excited about the opportunity of presenting a finished product. I've considered using this space (my blog) to share some of the experiences of writing, self-publishing, and other things along the journey. But I am also afraid of pushing you, my reader, away if you interpret my actions as a departure from regular blogging or shameless self-promotion. If you are interested in reading some more posts about this experience, let me know. Leave a comment here on this post, ask a question, send me an e-mail, or shoot me a tweet @strangeculture. "So he calls me up and he's like, 'I still love you,' and I'm like, 'I'm sorry, I'm busy opening up the Grammys,'"
Does it drive anyone else crazy that Taylor Swift dates famous men, breaks up with them and writes songs about them? During the opening of the 55th Grammy Award ceremony Taylor Swift does a spoken word portion in a British accent and the buzz builds up that this accent was in reference to her recent break up with Harry Styles (British singer in boy band One Direction). It seems like everything she does is under the microscope of speculation of which songs relate to which male celebrity and past boyfriends. You read things like, "Did you see the scarf in that music video how it matches with the scarf in that picture that was taken when they were walking around the city?" Joe Jonas, Taylor Lautner, John Mayer, Jake Gyllenhaal, Conor Kennedy, Harry Styles...why do these guys date her? Do they say "I'll be different?" 1. Guys, look for the pattern - you will not be different. 3. If She Does Settle Down with someone, it would be weird her stardom comes from singing about guys that came before you. Tracking Taylor Swift's boyfriends, song references, and random illusions to breakups is a waste of time. She might be a celebrity, but becoming a celebrity who's song repretoire is a collection of break up songs seems not only like a lousy legacy, but kind of sad. No, really sad. With the possibly of the Academy nominating as many as ten films, one of my hopes was that the change would encourage studios not to feel forced to place their top films in the last couple weekends of the calendar year. 2010 nominations (for 2009 films) was the first year in the current era with 10 best picture nominees. 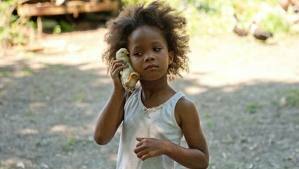 There were some surprise nominations and the award nominees spanned the year more than normal, with four of the nominees having been released August or earlier, and only 4 films from November and December). 2012 nominations (for 2011 films) their were 9 nominees instead of 10, but still 3 Summer releases, and 5 from November and December. And this year...the 2013 nominations (for 2012 films), seems to have lost some of the trending for Summer love (and distribution of Oscar worthy summer films). Instead this year with 9 nominees, it's just one summer film, and seven with November and December releases. To me this trend is disappointing. The 2012 film year was stronger than years past, but I hope that the 2013 film calendar can spread the quality films more throughout the year instead of relying on that last minute freshness to keep the film in the mind of Oscar voters. The premise of this series I've done over the past couple years is that it's often surprising to look at the year's top films and the actors who take lead and supporting roles. The conclusion is that these days when it comes to the box office the box office leaders are often a surprising cast of characters. I've enjoyed tracking the actors who's names appear in more than 1 top 10 grossing live-action film. This year 3 actors share this honor.